BEAR with me for this is a tale of turning a blind eye in the name of self-serving promotion. Neill Collins is a favourite at Bramall Lane even though he has not been seen in a Sheffield United shirt since October 7. Signed in January 2011 the central defender has made 146 league appearances and scored nine goals. In total he has played 177 times for the Blades and scored 10. After spending much of the season as persona non grata after unsubstantiated rumours of a fall out with manager Nigel Clough, he was eventually loaned to Port Vale in the last week of March where he made seven appearances. Clough claimed injury had forced Collins to be sidelined. The player, making no mention of any impairment, talked of his love for United and vowed to win his place back. Collins is a solid, experienced and commanding centre-half. A leader. United, meanwhile, struggled at the back for most of the season. Too many sloppy goals were conceded. A strong character was missing. The central roles were problematic. Terry Kennedy was injury prone. 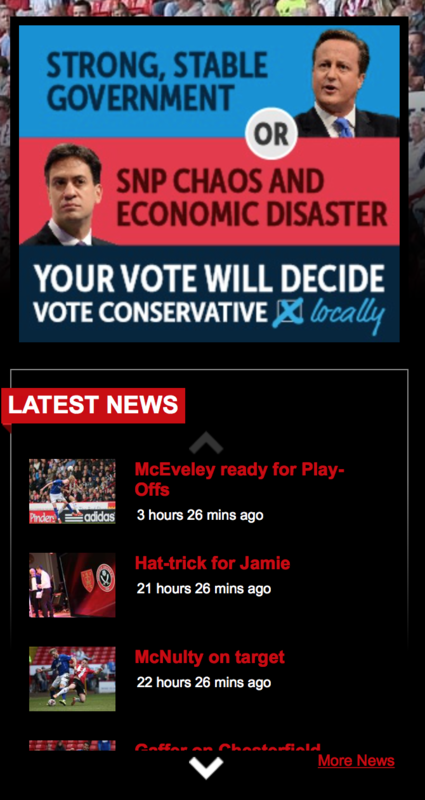 Jay McEveley began the campaign in good form, then became inconsistent. Chris Basham, so much more effective in United’s central midfield, which was also sadly lacking, played as a centre-half more often than not because of injuries. Right-back John Brayford, who Clough inexplicably paid £1.5million to sign in January on a three-and-a-half-year contract, was eventually seconded to the role. His manager regarded Brayford, a personal friend and who also played for him at Derby and Burton Albion, as United’s best player. He publicly said so. The reality was a little different. Brayford was a shadow of the fullback he was during a loan spell from Cardiff the previous season. As a centre-half he was mediocre. After Brayford was injured during the first leg of the play-off semi-final, another fullback, Craig Alcock, who had history of performing well at centre-half when asked to, but found himself pushed out or sitting on the bench, was suddenly thrown into the role as last resort at Swindon for the second leg. — James Shield appears to have waited to make the point until after Clough had gone. Now imagine you are a journalist following these events. There is at least one story there screaming to be told. But it wasn’t. In fact, it was never mentioned. Until today. Reporter James Shield, in The Star, who has remained silent on the matter, presumably for fear of upsetting Clough, suddenly decided to write about forgotten man Collins. Under the headline ‘Collins could fit the bill as new Blades skipper”, Shield informs us that Clough “insisted there were no other obvious candidates to take over the role” after having decided to release captain Michael Doyle without warning a few days earlier. But Shield who until now, like Clough, had conveniently ‘forgotten’ the existence of Collins, says: “Neill Collins could emerge as a contender when the 49-year-old’s [Clough’s] successor is officially unveiled despite seven months in the wilderness." He added: “Whatever the reason behind his omission, United’s win percentage when Collins was involved at the beginning of the season was 75 per cent compared to 39 per cent following his exclusion.” Shield kept that little gem to himself for long enough. Better late than never but how lily-livered is that? If ever evidence was needed of a reporter being in someone’s pocket this is it.